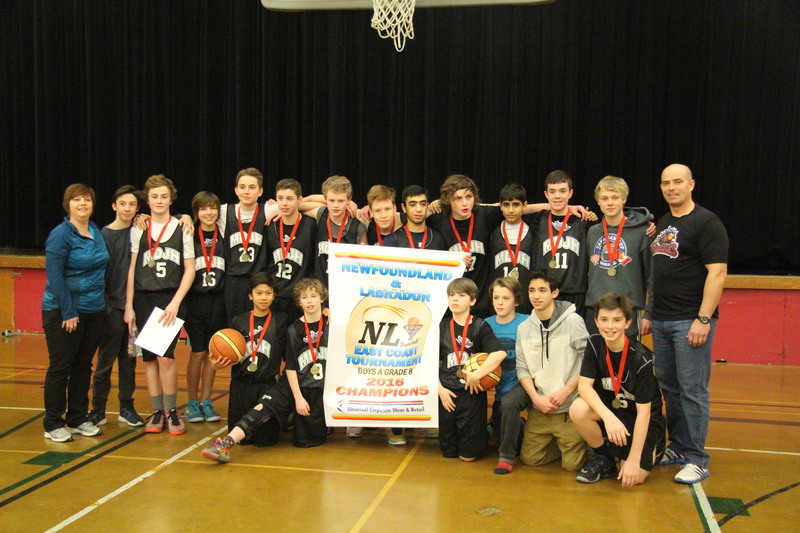 The MDJH Grade 8 Boy’s Basketball team won the 2016 East Coast Provincial Banner this past weekend. This is the second year in a row that the boys have won the Provincial banner. The season saw many player injuries and some tough losses. However, this past weekend at the MDJH gymnasium a healthy school team came together beating Corner Brook, Brother Rice, and St. Peter’s in the round robin. In the championship game MDJH defeated St. Paul’s for the banner and gold medal. Well done to the players, coaches and parents.